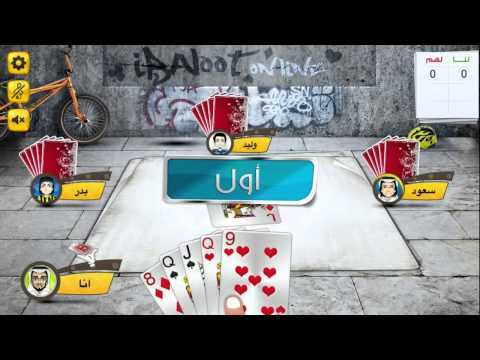 iBaloot is a turn-based single or multi-players card game popular in Arab world. Currently, the game supports three platforms, including Android. There is a logic and fun associated with the iBaloot. In the game, 4 players divide into 2 teams, two players in each and the rest of the game is played based on Baloot’s rules which are almost common everywhere. iBaloot Application simulates the real cards game to be more user friendly and entertaining mobile version of the game. iBaloot provides a solutions for playing anytime and anywhere with anybody. In fact, ibaloot is becoming part of our society as you can see student, teachers, engineers, managers, doctors and almost everyone are enjoying playing baloot. 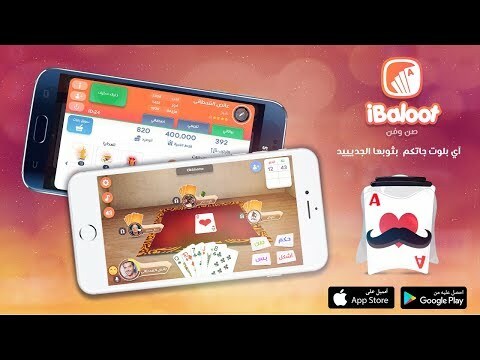 iBaloot connects the new generation with the old, makes friends and creates a level of excitement and enjoyment about playing Baloot. iBaloot allows users to design his room, cards, avatar and his local accent. No matter where you are, now you can enjoy playing offline or online, ask your friends to play, send or receive gifts, collect points and ranks yourself in the top players’ list. To make it a way attractive and communicable, we’ve added a new voice command feature. Using this feature, users will be talk to their teammates with voice commands. We try to make this game as sociable as possible, where the players can add new friends and make their own friend list. To make the game more interactive and fun, we’ve added a new feature to enable players send and receive the gifts from other players during the game. يمكنك الحصول على نقاط الخبرة في حال المكسب او الخسارة في المستوى المتقدم و المحترف و الدوري على كل صكة حتى نهاية القيم. - لا تفوت هدايا الفرسان .. كل رحلة مليئة بمفاجآت مختلفة من البلوتات والجواهر والاشتراكات مجانا! iBaloot came with her new dress:- The computer is playing as a professional and understands smuggling and telegram- Enjoy the sense of realistic play in the "free play" and cut and bind your brothers in your roomDo not forget to send us your opinion in the new versionAnd appreciate the game if I admire you and send us your assessment. Many gifts and prizes await you! iBaloot Jatcom with her Jadeite dress:- The computer is playing as a professional and understands smuggling and telegram- Enjoy the sense of realistic play in the "free play" and cut and bind your brothers in your roomDo not forget to send us your opinion in the new versionAnd appreciate the game if I admire you and send us your assessment. Many gifts and prizes await you!